There's a fashion boutique to check every two yards when you walk down the stretch of Park Street that extends from Allen Park to Mullick Bazaar. 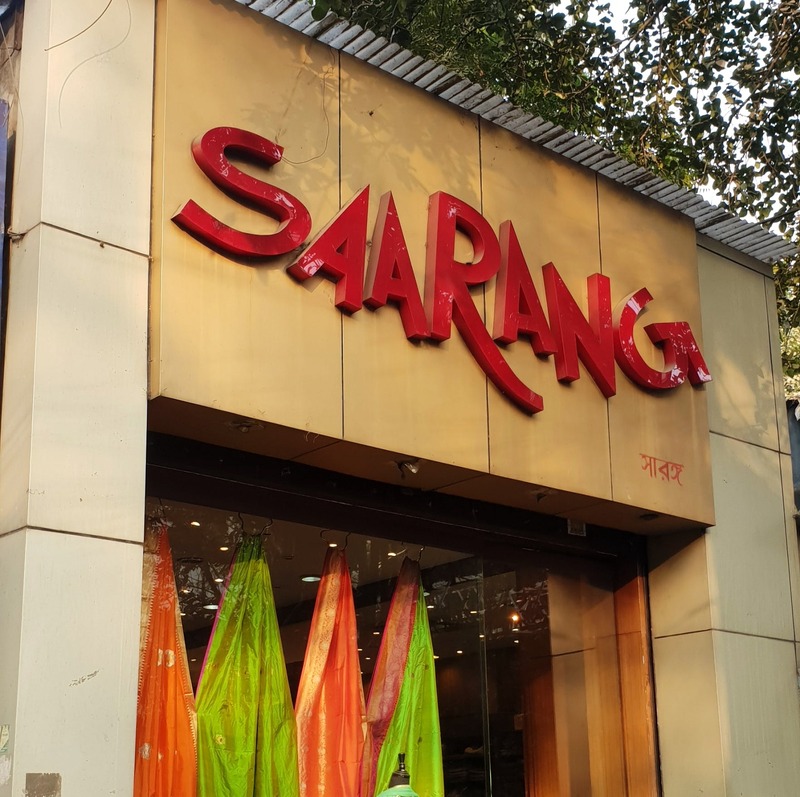 Wedding, engagement or otherwise, half the city turns to this hood to pick their ethnic attire from, but the one store that really draws the crowd is Saarang. It will be tough to tell a time of day when we have crossed Saarang and haven't seen it packed with people. One of Park Street's most popular ethnic fashion boutiques, Saarang has a collection that will make you want to be a millionaire. Sarees, suits, lehengas and gowns, you'll find everything to fill your closet. Equally exhaustive is the variety - from budget buys to fancy apparels. The store is laid out in two levels with a humongous collection of sarees. Silks of various kinds (benarasi, kanjeevaram, chanderi, muga, jute, tussar ), fine kota, linens, cottons, crepes make up their stock. The intricately worked on gorgeous silk sarees are perfect for wedding picks. Bengali brides-to-be if you want the traditional look, find your silk laal-par-sada (white with red border) saree here. If you're the sister of the bride, then glam up your look with their pure silk lehengas. Good thing, they will do the fittings at zero cost. You can also check out their kurtas and suits, which make for good daily wear. For your parties, check out the long gowns in a variety of colours. The store is always too crowded and you will legit have to battle it out with others to grab a sales person. If you request them, they will also do home delivery for items that you purchase. If you are wary of the crowd, then hit up their other stores in Rashbehari and Salt Lake.